Modern space research in India is most visibly traced to the activities of scientist S. K. Mitra who conducted a series of experiments leading to the sounding of the ionosphere by application of ground based radio methods in 1920's Calcutta. Later, Indian scientists like C.V. Raman and Meghnad Saha contributed to scientific principles applicable in space sciences. However, it was the period after 1945 which saw important developments being made in coordinated space research in India. Organized space research in India was spearheaded by two scientists: Vikram Sarabhai—founder of the Physical Research Laboratory at Ahmedabad—and Homi Bhabha, who had played a role in the establishment of the Tata Institute of Fundamental Research in 1945. Initial experiments in space sciences included the study of cosmic radiation, high altitude and airborne testing of instruments, deep underground experimentation at the Kolar mines—one of the deepest mining sites in the world — and studies of the upper atmosphere. Studies were carried out at research laboratories, universities, and independent locations. Government support became visible by 1950 when the Department of Atomic Energy was founded with Homi Bhabha as secretary. The Department of Atomic Energy provided funding for space research throughout India. Tests on the Earth's magnetic field—studied in India since the establishment of the observatory at Colaba in 1823—and aspects of meteorology continued to yield valuable information and in 1954, Uttar Pradesh state observatory was established at the foothills of the Himalayas. The Rangpur Observatory was set up in 1957 at Osmania University, Hyderabad. Both these facilities enjoyed the technical support and scientific cooperation of the United States of America. Space research was further encouraged by the technically inclined prime minister of India—Jawaharlal Nehru. In 1957, the Soviet Union successfully launched Sputnik and opened up possibilities for the rest of the world to conduct a space launch. 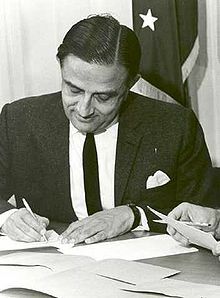 The Indian National Committee for Space Research (INCOSPAR) was found in 1962 with Vikram Sarabhai as its chairman.Vikram Ambalal Sarabhai (Gujarati: ? ?) (12 August 1919 – 30 December 1971) was an Indian physicist. He is considered to be the father of the Indian space program.The Tata Institute of Fundamental Research (TIFR) is a research institution in India dedicated to basic research in mathematics nd the sciences. It is a Deemed University and works under the umbrella of the Department of Atomic Energy of the Government of India. It is located at Navy Nagar, Colaba, Mumbai. TIFR conducts research primarily in natural sciences, mathematics, biological sciences and theoretical computer science and is considered one of the outstanding research centres in India. TIFR has a graduate program leading to a PhD in all the major fields of study.Homi Jehangir Bhabha, FRS (Hindi: ; 30 October 1909 – 24 January 1966) was an Indian nuclear physicist, founding director, and professor of physics at the Tata Institute of Fundamental Research. Colloquially known as "father of Indian nuclear programme", Bhabha was the founding director of two well-known research institutions, namely the Tata Institute of Fundamental Research (TIFR) and the Trombay Atomic Energy Establishment (now named after him); both sites were the cornerstone of Indian development of nuclear weapons which Bhabha also supervised as its director. Starting his scientific career in nuclear physics from Great Britain, Bhabha returned to India for his annual vacation prior to start of the World War II in September 1939, prompting Bhabha to remain in India, and accepted a post of reader in physics at the Indian Institute of Science in Bangalore, headed by Nobel laureate C.V. Raman. During this time, Bhabha played a key role in convincing the Congress Party's senior leaders, most notable Jawaharlal Nehru who later served as India's first Premier, to start the ambitious nuclear programme. As part of this vision, Bhabha established the Cosmic Ray Research Unit at the institute, began to work on the theory of the movement of point particles, while independently conduct research on nuclear weapons in 1944. In 1945, he established the Tata Institute of Fundamental Research in Bombay, and the Atomic Energy Commission in 1948, serving its first chairman. In 1948, Nehru led the appointment of Bhabha as the director of the nuclear programme and tasked Bhabha to develop the nuclear weapons soon after. In the 1950s, Bhabha represented India in IAEA conferences, and served as President of the United Nations Conference on the Peaceful Uses of Atomic Energy in Geneva, Switzerland in 1955. During this time, he intensified his lobbying for developing the nuclear weapons, and soon after the Sino-Indo war, Bhabha aggressively and publicly began to call for the nuclear weapons.